This stunning cushion comes from the centre panel of a vintage Maonan wedding blanket. The panel would be surrounded by borders in a cotton textile dyed with mineral dye or indigo. The blanket has an off white cotton ground and auspicious symbols in silk thread. The corners are adorned in handmade cotton tassels. 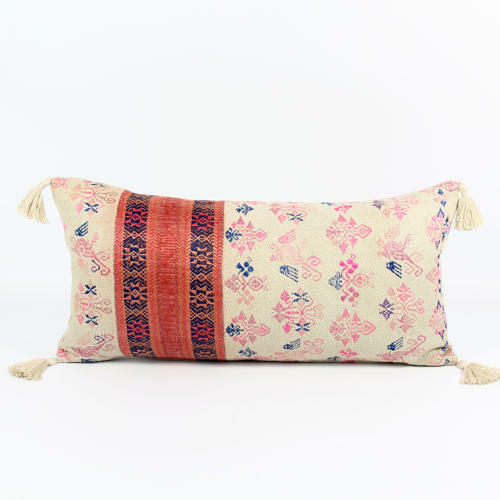 The cushion is backed in thick vintage hemp, has zip closure and feather pad.